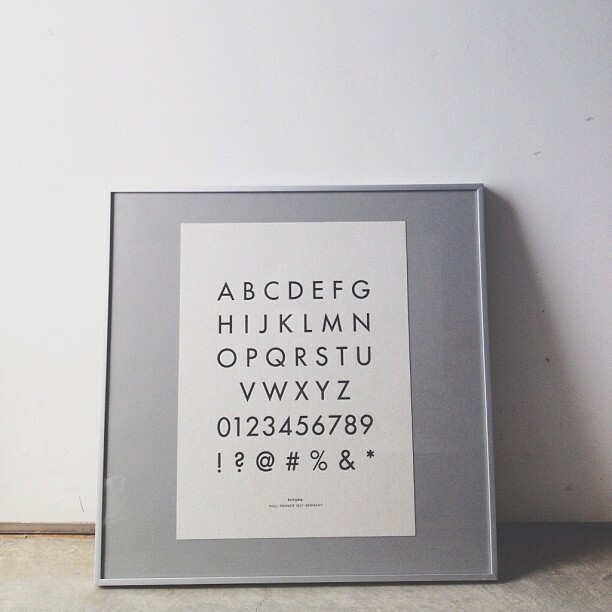 My latest wall art - a poster of the Futura typeface printed by Just Vandy, the genius behind the Vandercook 100 book. I saw Heather selling her prints at the Printer's Fair and I had to grab this print. It's not printed on paper but on book cloth. Unfortunately, these are not yet on sale at her online store but you can see her other prints on her website. Can't wait to get this up on the wall!